As some may know, Sandusky, OH is my home away from home. I have been lucky enough to get to go to Sandusky multiple times per year for the past decade. So, for the past decade, I have driven by Jolly Donut time and time again, and probably at least 100 times. 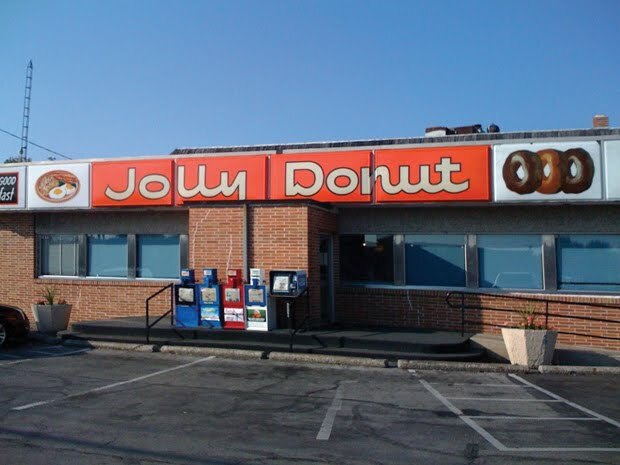 I have never given Jolly Donut a second thought. It is an old building set back from the road a little bit, and it is attached to a budget motel, and across the side street is another budget motel. The Jolly Donut building is this retro 1970s brick and glass building that has absolutely no charm from the outside. I suspect the way it looks wards off some of the tourists (and me until now) because it looks a little dumpy. But what a surprise walking into Jolly Donut, it is a fantastic diner. Inside there is chrome metal and red leather seats. There is a dinner bar with attached red and chrome bar stools. There are booths with red leather benches and formica table tops. The floor is black and white tile. The walls have accents of shiny chrome tile. The customers are all retired locals meeting up for breakfast and a cup of coffee, and probably talking about the latest local politics. Now, having visited Jolly Donut, I now know that Jolly Donut is a certifiable DINER with the bonus of excellent house made donuts! I hit the bonanza! So, I get to Jolly Donut after doing a little research from some locals. I was pleasantly surprised at the diner inside. I noticed that there were full breakfast and lunch specials for less than $4. Donuts are only $0.59 and they are all made fresh daily. I think a dozen is about $5. I think there were day old donuts in the case, a dozen for $2. What a deal. I got a bunch of donuts to share with the others because these donuts are outrageously delicious! I ate a ganular sugar covered yeast donut, and it is the best sugar covered donut I have had in my adult life. The donut was the right texture, light, with slight toothiness at the end of the bite. The sugar granuals gave just the right crunchiness to the donut. The donut was just the right sweetness. It was the perfect donut. I am so sorry that I have not gone to Jolly Donut before now because I have been missing out on all this diner and donut goodness. So the story continues, and it could not have been more cliche. As I got to one of my stops around Sandusky, I ran into a pal of mine, a cop, and he saw me with big boxes of donuts. Well, he look at me and said, "I recognize those boxes, they are Jolly Donut boxes, and what are you going to do with all those donuts?" 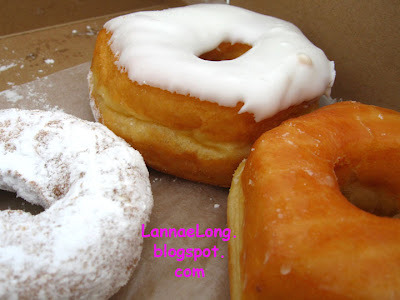 I said to my pal, well, I just discovered Jolly Donut, and I bought a ton to share!" He said, "Great, give me one of those. Jolly Donut is really good!" So, my pal the cop got the first of many donuts I gave away that day. It is a bit cliche, cops and donuts, but on this day, it was a cliche come true. So, along my path for the day, I offered donuts, and everyone was so happy to see Jolly Donuts, were happy to help themselves to a really great donut. Guess the pizza. Where is it, and what pizzas are they? Finally, I think the Judge found an appropriate place to call his restaurant, it is in a former bar building located in Brentwood, TN. It is not in Davidson County, Nashville, which is a shame for those of us living in Nashville, but the drive down I65 or 8th Ave/Franklin Rd is not too bad. This new location had been a long time coming after the Judge had to move out of his little house restaurant on Wedgewood. I really liked that little house Wedgewood location, but I guess the residential neighbors to the right and left of the restaurant did not care for loud live music and patron's cars blocking their driveways. Then the Judge moved downtown to an old Jody Faison's space in the upper Gulch area. The space was great for the Faison concepts, but not for BBQ. The space was kind of too uppity for the Judge food, and it never felt right. I didn't go the downtown Gulch location, all but 2 or 3 times because I could never get over the disconnect of the atmosphere (still Faison-esque) and the down home Texas BBQ food. Then the Judge moved to Greer Stadium. Honestly, I never went there because it was just a bit weird for me to do that. So, now, I really like the Judge Bean space now in Brentwood, it is not fancy, it is what I want in a Texas style BBQ joint. There is a bar, plenty of TVs for what ever UT sport you want to watch, the tables are bit mis-matched, just the way I want in a BBQ joint, and Judge has put up some great decorations on the walls which really makes think Texas BBQ. The only thing that would make this place better is if somehow the Judge could move the building and parking lot to a Nashville location, closer to where I live. My recommendations are the smoked tomato salsa and chips for $5. Yes, it looks like a lot of money for chips and salsa, but this salsa just is outstanding. The tomatoes are put in the smoker, along with jalapeno peppers (I am guessing) and probably onion, and then they are whirled up an food processor to make this salsa that is served warm. I cannot get enough of this salsa! 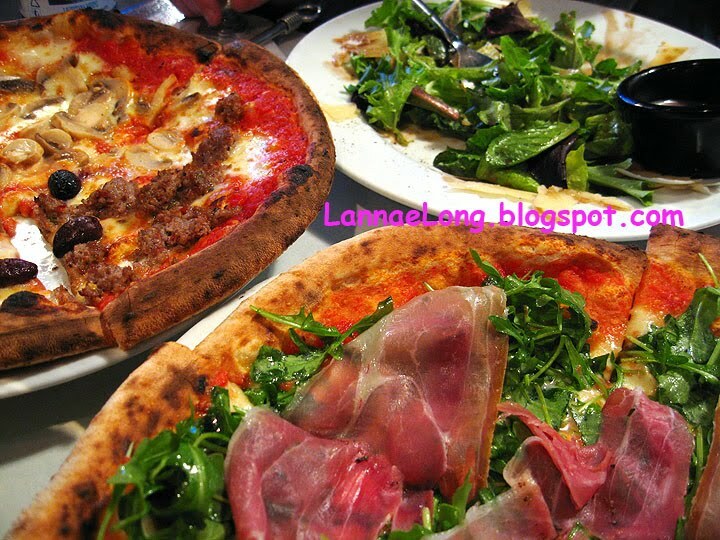 It is really full flavored, smoky, spicy, and surprising in a good way. 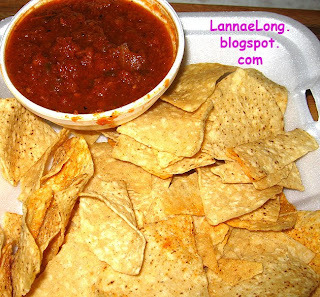 The chips have a little bit of seasoning sprinkled on them, and are a great compliment to the salsa. Chips and salsa from the Judge travels well, so then next time I am at the Brentwood Maryland Farms area, I am getting some chips and salsa to go. I also tried some pork ribs, beef brisket, fries and baked beans. Texas is better known for beef BBQ, and that is what I would recommend. The ribs were not "on" the day I went, and actually served to me a bit cold. I suspect the ribs were done being smoked much earlier in the day, put in the fridge, and then possibly microwaved or stuck in an oven when I ordered them to reheat them. The brisket was good though. It had a nice reddish smoke ring and nice smoky flavor. The baked beans were good, and I think they are made with small bits of smoked brisket. They were not that icky sweet caramel stuff you get out of a can, they are more hearty and savory. I liked the beans. Another visit to the Judge, we got the brisket tacos and catfish tacos. The catfish taco, I think are lightly breaded and fried, salsa, and guacamole on a deep fried fresh corn tortilla. The guacamole tasted homemade with nice chunks of avocado, and the salsa was the Judge's delicious smoked salsa. The brisket taco is chopped brisket with guacamole and salsa. I really enjoyed the brisket taco a lot! I think I found my dish at the Judge, the brisket taco. This trip, the mound of brisket on the taco was really high, possibly 4 oz of meat high. For me, 2 tacos plus a side, plus a little cup of guacamole was plenty for my dinner. There is an option for 2 tacos or 3 tacos, and of course Tuesday night is all you can eat tacos if you are hungry. The one thing that is absent from this iteration of the menu is the smoked chicken wings. The last I remember the wings, they were at the Gulch location. I remember the smoked brisket and wings being really good from all those years ago. I wonder if I can ask the Judge to bring back those wings, maybe one night per week, or bring them back for me. Eh, if it isn't profitable for him to have wings, at least there is the smoked tomato salsa, beef brisket and the baked beans. I went on a taco crawl with the Nashville Meetup Group "What the Pho?" sometime in April, and discovered more taco trucks than I knew existed on Nolensville Rd. I love street food. I am often on Nolensville Rd eating from small hole in the wall places, and a couple taco trucks, but because I am usually driving, I have not seen some of these taco trucks before because I am usually concentrating on driving. There was once an India food cart on Nolensville Rd once, it is gone now, but it was the best deal and quite tasty. The elotes taco truck is also missing now. Even with a couple of my favorite taco trucks gone, there are other trucks that are delicious. Street food is the mainstay for many Asian cities including cities in India all the way to Malaysia and the Philippines. I love county fair food, which is an American version of street food. I love the fish taco hut at the beach in Laguna Beach. I love a good hot dog stand. I love the bull cart street food at Feneuil Hall in Boston. I heard that a lot of young professionals in Singapore don't use their kitchens because the street food is so good, abundant and less costly than trying to cook it at home. Street food is so good, cheap, and tasty. When I saw a chance to go with a group to taco truck hop, I hopped on that opportunity. 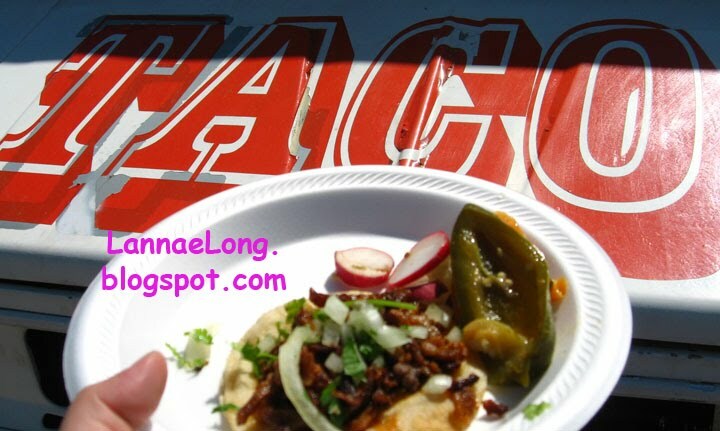 How Rose found the taco trucks is that she went to the Tennessee Restaurant Health Score website and typed in Taqueria, Nolensville (for the road name), and Nashville and a list of many of the taco trucks popped up with addresses. Some were labeled "green" or exists, and some were labeled "red" meaning they are out of business. I am really looking forward to trying taco trucks on M'boro Rd and Charlotte Pike, and using the same method of finding the locations of the trucks. One note that I would like to make about the Taqueria trucks is that all of the ones on Nolensville Rd have excellent health scores of 90 - 99. This is better than most brick and mortar restaurants, and most likely better than my own kitchen. 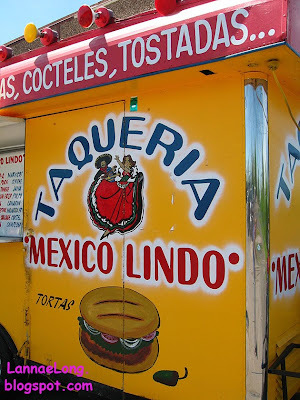 Here are some of the tacos and taco trucks we went to, some better directions and landmarks to find the taco trucks, and my impressions of the taco trucks. I believe el Recodo is my favorite for al pastor of all the other taco trucks. It was the most greasy, but also the most flavorful. I got an al pastor taco with everything, which means onions and cilantro with a lime and radish slices on the side. I used the sauce that was offered, and that was red chili pepper sauce. The tacos were the cheapest $0.99 including tax, but when I handed over $1, they just kept the penny. There are also tortas and culupas available here too, but I was on a taco crawl, so I got only chorizo or al pastor tacos to try and compare each taco truck fairly. This is one taco truck that I have not "seen" before because I am usually just whizzing by in my car and I have not seen it, even though it has been there for a good while. 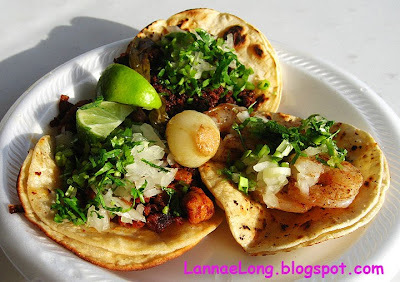 Since this is my favorite al pastor, I have been back a few times for a little snack. The downside is, there is no table or place to eat the tacos, so the cooks pack up the tacos for take-away, or to be eaten in the car. My only word of caution is be very careful parking and backing out onto Nolensville Rd. There are a lot of people driving and whizzing by (like me in the past) and the drivers on Nolensville Rd may not be able to see you backing out. I knew of this taco truck for years, have snacked from this taco truck many times, including tacos, tortas, and burritos. I get snacked from this truck because it is convenient to do before or after shopping at K&S market. Many people shopping at K&S get snacks from this truck, so on weekends in the afternoon, this truck gets really crowded, and the wait can be long. Some patrons have ordered food from the truck, gone shopping, and the come out and pick up the food on the way out. There is no longer a table to eat at, so during this taco truck tour, we and all the other diners were mulling around and standing around the parking lot eating food, and getting in the way of cars trying to get to the K&S market. This was my least favorite al pastor taco. The meat was bland. The side salad of pickled pepper and radishes were the best, and quite tasty. Given that I know more taco trucks closer to my house, I will likely not snack from this truck anymore. Tennessee Taco is my 2nd favorite taco truck. This one is set pretty far back from the road, and I had no idea it was there until the taco crawl. This one looks as if it is woman owned. 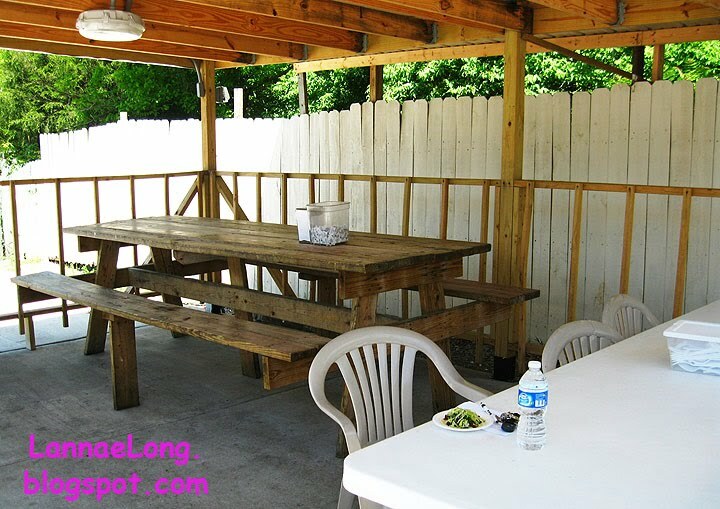 There are really nice clean tables under a tent, there are very nice and clean tupperware bins with napkins, and plasticware to use, and there is a little permanent structure with a bathroom symbol on it. The little bathroom was very clean, plumbed with running water, soap, TP and paper towels. Some in my party used the bathroom, and were able to wash their hands before eating. I believe this place has tortas and tacos, and this is the only place with shrimp (camaron) tacos. When we pulled up to a parking area near this taco truck, a waitress came out being a car-hop, and offered that we could eat in our car, or sit outside under the tent at the very clean tables. We opted for the tables. I had a chorizo taco during the crawl, but I went back for dinner and got a camaron, chorizo and al pastor tacos with everything on it, which meant onion, cilantro and lime. This truck has a green hot sauce which looks like a combination of avocado, creme fresh, and hot jalapenos. The tortillas were griddle fried, so they were nice and crispy on the outside, just like I like them. I like this place because it is so clean, set back from the road, and they have chorizo. 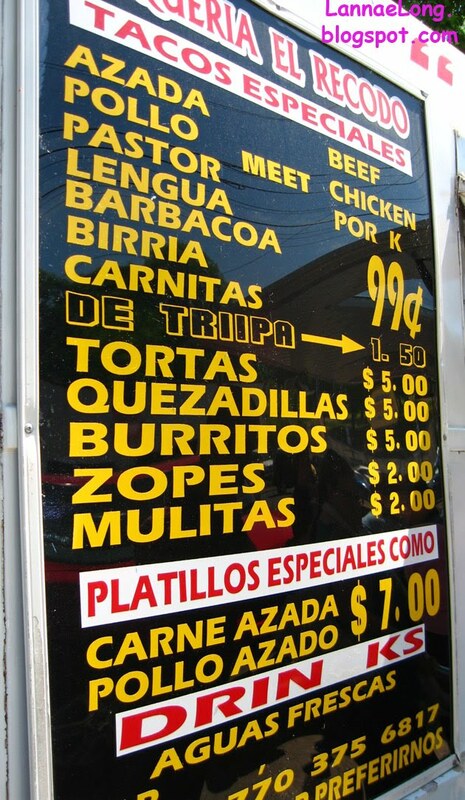 The price here is $1.25 per taco, and I think $1.75 for shrimp. 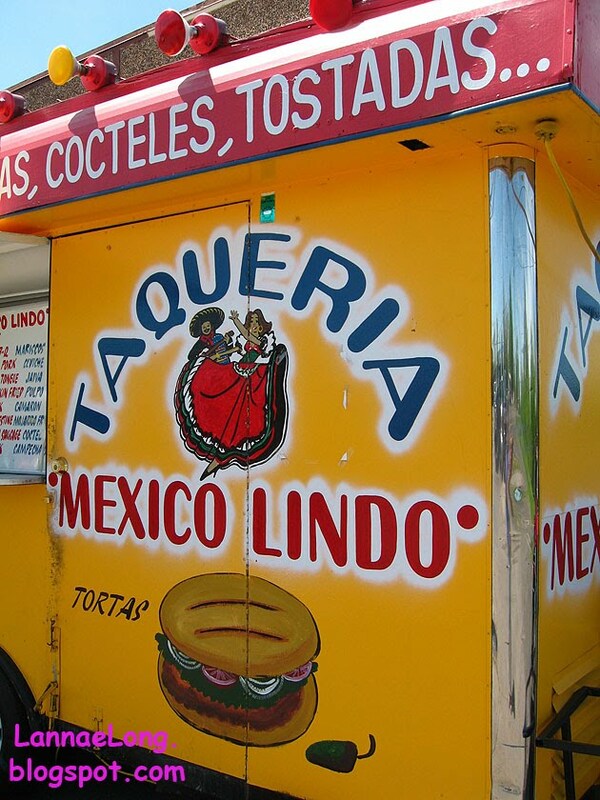 The last taco truck we went to is Mexico Lindo and it is down near the Tusculum Lanes. I can see myself bowling, and then walking next door to Mexico Lindo for a few taco snacks. This taco truck offers tacos and tortas, is in front of JR market. Some in the group went into the JR and got some soft drinks. I got a chorizo taco with everything which is with onion and cilantro. This truck offers two types of sauces, one is green and one is red. The green one I believe is avocado, creme fresh and jalapenos, and the red is some form of read hot sauce. On the back side of this truck was a table an a few chairs that were a bit weather worn. I may be inclined to go back, but this one is so much further away form my house than the other 2 I like, so that is really the only reason why I may not visit Mexico Lindo more. Taco crawl, street food, taco trucks, inexpensive, flavorful, and fun describes my taco truck tour. So, up next, taco crawl Mboro Rd, Charlotte, and Antioch/Richard St. I will keep you posted whether I do that, or if Rose organizes another taco crawl. I was lucky enough to be invited to the Wrap Party for the movie, Love Don't Let Me Down, that Gwyneth Paltrow and Tim McGraw were in Nashville filming this past winter. The movie hired many local people to do the the majority of the offscreen work, and it was a really nice boost to the local economy. The movie folks were nice enough to offer a really nice Wrap Party with food, drinks, and local musical entertainment. The movie folks rented out the Mercy Lounge and had Past Perfect cater the party. There was a lot of fun food available at the part. There was chicken on a stick, bison burgers, fresh fruit, fresh vegetables, strawberries, chips, tortilla chips and dip, quesadillas, cheesecake, pigs in a blanket, egg rolls, wrap sandwiches, cheese and crackers, and other fun snacky foods. 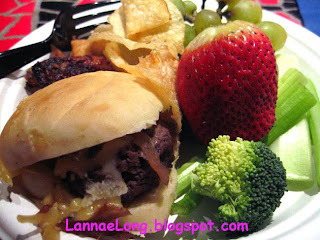 I really did like the baby bison burgers, and I appreciated a lot of the fresh fruit and veggies Past Perfect had to offer. What I realized about Past Perfect is that it serves food, I thought it was a nightclub by the looks of it from the outside on the few occasions I have been by there. Now I know, there is food and drink at Past Perfect. What I really like from having Gwyneth Paltrow in town was that she created a whole blog page about her time in Nashville. What she wrote was really sweet, and she showcased many of the locally owned place I frequent. I am surprised I never ran into her while she was hanging out in and around town. Eh, maybe I did run into her, but I am not really an observant person, as I age, my eye sight is going, and I generally don't pay much attention to those eating around me when I am in a restaurant. I am looking forward to Nashville cast and crew screening of the movie before it opens nationwide. A while ago, I had read that it is possible to feed 2 people all the vegetables they need for a year by using a 4x4 ft garden bed. It would have be rotational crops, and constant harvest and planting. I have a 6x6 bed, and that is the big hope to that one year I can feed my household with food grown in the 6x6 bed. This is not the year. Had I tried it this year, we would have starved. 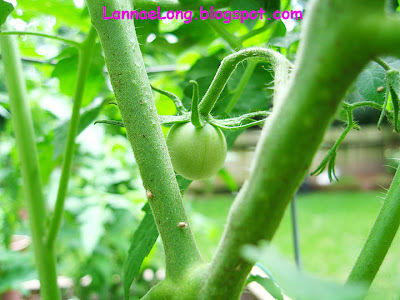 So far so good with the garden bed, but nothing has matured to ripeness yet. There are plenty of birds, rabbits, squirrels, voles and chipmunks that live in my small backyard, and I am sure they would like to get their tastebuds on my ripe fruits and vegetables. I have a few surprise squash plants. I can't wait to see what they are. I am guessing pumpkins, but I am hoping for more conventional squash like summer, zucchini, acorn, or butternut. I had bought some organic compost and put it in the 6x6 bed the weekend before the flood. The flood came and washed away all the compost, so I had to get more compost. I went the community garden down the street, and made a donation for some compost. In their finished compost pile were some leafy sprouts that look like squash/pumpkin leaves, so I took 4 spouts and planted them. The leaves are so big now, so I am guessing pumpkins. After Halloween, the community compost asks people to bring unwanted pumpkins for a smashing pumpkin party, so it is likely that the plants are pumpkins. 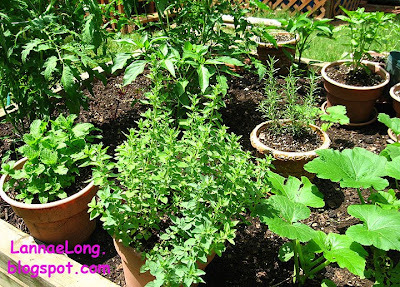 I will let you know what they squash plants are.